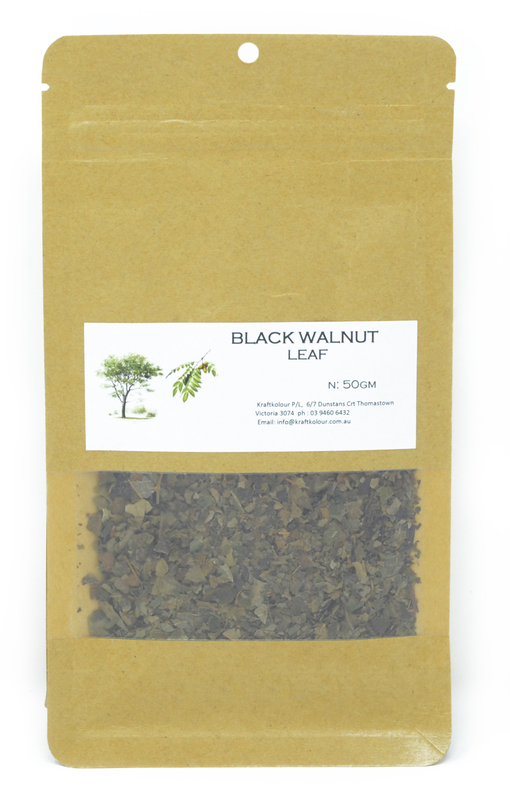 Black Walnut is a hardwood tree native to eastern North America and belongs to the hickory family. The hulls and the leaves are traditionally used to treat skin conditions such as eczema and psoriasis but they can also be used as a natural dye yielding beautiful subtle shades of grey, browns, lichen yellows and ecru. With Alum Mordant you will get honey yellow, Iron Mordant you will get soft grey and Iron you will get Ecru. Boil dried leaves for 20mins then leave to soak overnight to extract most dye colour. Dyes cotton, silk and wool.